Aisling Organics is a cosmetics company that started with the simple mission to create make-up products made from natural ingredients instead of chemicals and toxins. “Aisling” means vision in Irish and it is founder and CEO, Krysta Lewis’ vision that everyone is using the cleanest products possible. After finding out that most major makeup brands rely on chemicals and other harmful toxins to create their product, Lewis was inspired to create a brand that uses natural ingredients. On Aisling Organic’s website you can find each product’s ingredients outlined for the potential customer so they know exactly what they will be putting on their body. Instead of harsh chemicals, Aisling Organic products contain ingredients such as aloe, cinnamon and coffee powder. Lewis is a huge advocate of the philosophy of if you wouldn’t put it in your body you shouldn’t put it on your body.The products contain vitamins and minerals that don’t just enhance your face, but also heal. Aisling Organics is striving to be a part of the larger Clean Beauty movement, which encourages consumers to be more aware of what they put on their skin, and to buy products that not only help them look good, but are good for them too. Lewis was inspired to create a line of organic products after dealing with some stomach issues herself. “I was eating organic foods, but still using makeup and skincare filled with horrible chemicals,” says Lewis. “I was horrified to learn that chemicals are completely legal to us in makeup in the United States, and not regulated by the FDA.” According to Lewis, the FDA is only responsible for regulating food or products that we ingest into our body, but not anything we put on our skin. This is especially problematic because the toxins from products we put on our skin can seep into our pores, and even products specifically designed to be used near places such as mouths and eyes are not held to any national health standards. In order to eliminate her stomach issues, Lewis immediately changed her makeup routine to only include organic products. 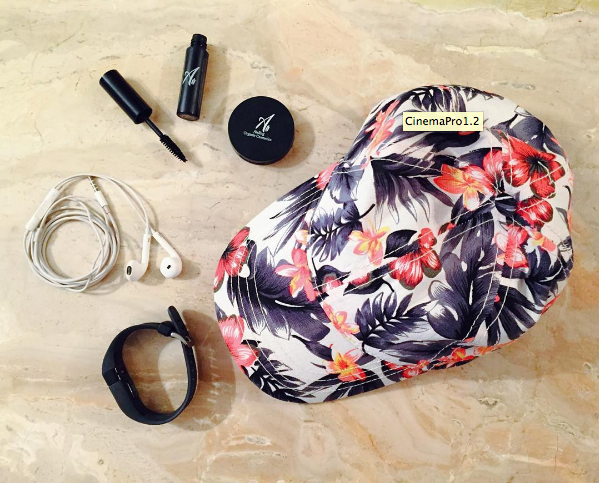 For this self-described beauty addict it was particularly hard, as she could not find an organic makeup brand that performs as well as her previous products. Seeing a gap in the marketplace for natural and health conscious beauty products that perform as well the chemically enhanced counter products, the idea for Aisling Organics was formed. Even more importantly than the success of the company, founder Krysta Lewis hopes to raise consumer awareness about the ingredients and chemicals we put on our body. Makeup is one of the hidden environmental factors, that increases people’s risk for numerous diseases and disorders, such as breast cancer, infertility and ADHD. She encourages all makeup lovers to be as diligent about what they put on their face, as they would be about the food they eat. A lot of makeup products have hidden toxins and chemicals that are made for your health. 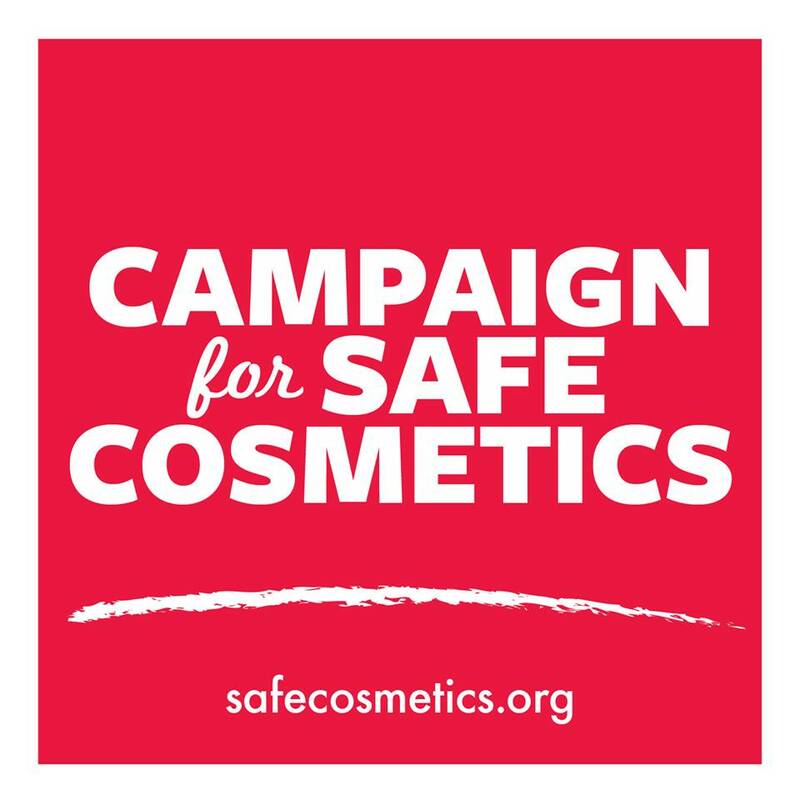 Lewis recommends checking out the Campaign for Safe Cosmetics online to raise personal awareness on the toxins that could be lurking in your everyday makeup products. An alumni of University of Southern New Hampshire, Lewis decided to start Aisling Organics, after graduating two and half years early with a degree in communications. Now she finds herself as the CEO of her own company, where she oversees everything from the social media and marketing to the financial aspects of Aisling Organics. Right now she’s the sole driving force behind her company, but soon she’s hoping to expand the Aisling Organics team to include sales representatives and potentially even interns. Her latest project is creating a PR video featuring herself, and her inspiration to why she started her company, and to raise awareness about clean beauty. As a young woman and entrepreneur, Lewis has faced challenges, such as the need to be taken seriously by older colleagues and receiving unsolicited advice from third parties. However, she encourages all other young women aspiring to create a business to stand their ground and be aggressive because at the end of the day only you know what is best for your business. Pouring all her time and resources into creating Aisling Organics, she wants to see it succeed and grow over time. Lewis says, “I want it to be as big as it can be. I want to be in major stores and maybe even have Aisling Organic stores, but most importantly I want to be a company that people can trust to provide only the best and safest products.” The desire to expand has not taken away from Lewis’s strong belief in customer service and she wants customers to be completely satisfied with each purchase. To make each order feel special, Lewis’s hand packages each order with care and style and sends it out with a personal note attached. Currently Aisling Organics cosmetics line includes liquid foundation, eyeliner, mascara, cheek tint, concealer and lipstick. However, the company has plans to expand into other products and additional shades. In addition to being organic all of the Aisling Organic products are cruelty free, vegan/gluten free and made in the United States. While they come at a higher cost than drugstore makeup brands, these are products you as a consumer can feel good about buying. Lewis believes people should make it a priority to spend money on makeup that isn’t harmful for one’s body and urges parents who let their teenage daughters use makeup to make sure they are buying products free from toxins even if they come a higher cost. “My biggest mission as CEO and founder is to educate people. I think there aren’t a lot of people seeking organic cosmetics, because they don’t know what the benefit is. But if one person can become a little more educated by my work to what they are putting on their skin, then I feel I’ve made an impact,” says Lewis. Someday Lewis hopes to see drugstore aisles lined with safe and natural cosmetics at every price point. She says, “This is more a movement towards clean beauty that I’m trying to start, not just a business.” But she understands in order for that type of change to take place, consumers need to be aware what is in their makeup and demand that the FDA and the government start regulating it. 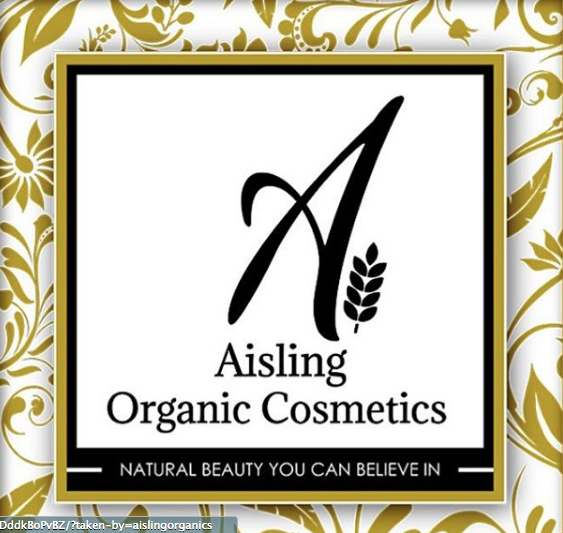 Aisling Organics is an expa nding company with an important mission to offer women and all makeup users safe cosmetics options. 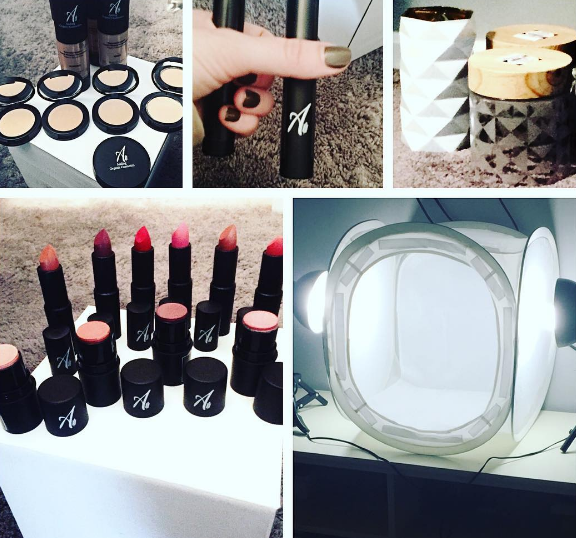 If you are looking to purchase makeup that you can be sure are natural, organic and cruelty free, as well as support female entrepreneurs, Aisling Organics is a company you need to be watching. Aisling Organics is currently available online or at CM Wellness in Goffstown, NH and the SoWa Open Market in Boston. They are also starting to host makeup parties in the Greater Boston Area. Parties include an informational session, salon makeovers and the opportunity to buy the products. For brand and product updates, you can find Aisling Organics on Facebook and Instagram. Images courtesy of Aisling Cosmetics. Today a lot of millennials are concerned about buying organic and all natural products for health and environmental reasons, however another component to consider when shopping is if products are fair trade certified. Fair trade by definition means that the supplies and goods used to create a product are made in a developing country and the producer of the supply or good is paid fairly. This movement is particularly focused on supporting goods from developing countries that were made in ethical working conditions, support environmental sustainability and bought for a fair price. Here’s five brands that are committed to the global fair trade movement and are either completely fair trade or progressing to becoming a fully fair trade brand. 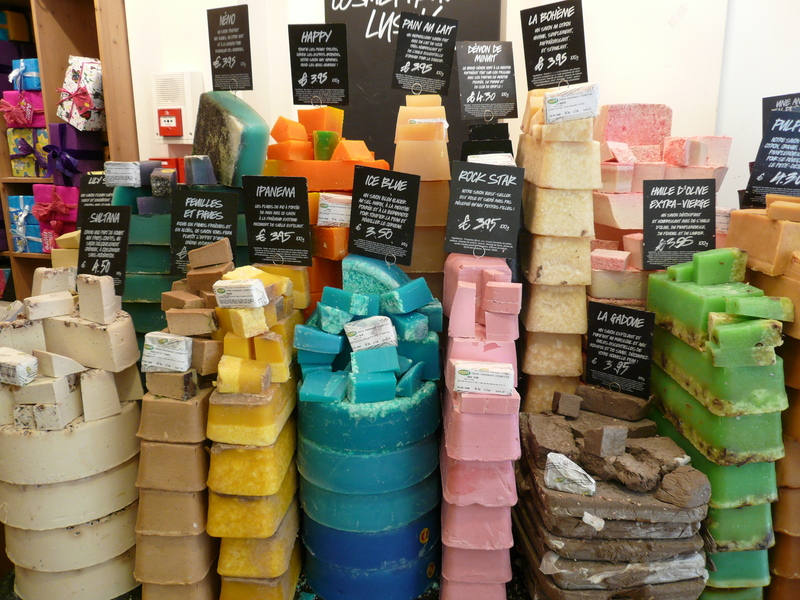 Lush is well known for using all natural products that are animal testing free, but they also only use fair trade products when creating their body products. Their buyers personally trace the ingredients back to the suppliers and producers to find out exactly how the product is made. Their commitment to ethical buying is why they cannot offer sales or discounts, because they believe in paying fairly for all supplies used in their products. For detailed information on ethical buying check out their website’s ethical buying statement. While you might feel guilty about eating an entire pint of ice cream by yourself, you can at least feel good about the fact that the ice cream you are eating has been ethically produced. 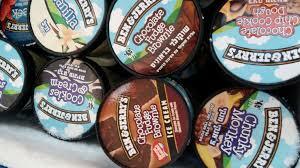 Ben and Jerry’s has been completely fair trade since 2013 and their fair trade products include cocoa and vanilla beans. Their website explains the values behind Ben and Jerry’s fair trade mission here. 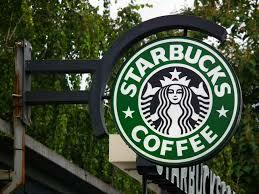 Another guilt free splurge is that 3 p.m. pick-me-up from Starbucks. While they are not entirely fair trade yet, 81 percent of Starbucks coffee meets the Coffee and Farmer Equity Practices‘ standards. These means suppliers worked in humane conditions and were paid appropriately through the coffee making process. This New England coffee giant is not 100 percent fair trade yet, but they are in the process of becoming fair trade. 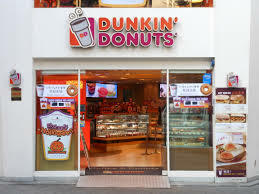 Dunkin Donuts‘ menu does features a number of fair trade coffee products, including their expresso beans which are 100 percent fair trade. In 2004, they partnered with Fair Trade USA with the goal of supporting the economic growth of coffee-farming communities. Currently their fair trade menu features espressos and lattes, but they are in the process of making their entire menu fair trade. Check out the progress they are making here. This online yoga company was one of the first apparel companies to become fair trade certified. While they may be pricier than their competitors, the clothing has the fair trade certification right on the tag, which can make you feel extra good about what you are wearing. Check out their online store here. Whether you are shopping for apparel or splurging on a latte, there are plenty of options to buy fair trade, even beyond this list. With the rise of fast fashion and rock bottom prices on goods, with less than ethical means of production, we can fight back as consumers by consciously making an effort to buy and consume fair trade brands. Sometimes you just have to be willing to spend a little more, but it’s worth it when you know you are getting quality products that were ethically made and support the global fair trade movement. Now that the semester is over, a lot of us are transitioning from collegiate life into the professional world of internships. While in the college setting casual clothing is not only acceptable but the norm, even the unpaid professional world has certain dress code expectations. From experience figuring out what to wear as an intern to working in store specializing in women’s professional clothing, I have learned a few tips on how to dress professionally even in the sweltering summer heat. Dress code for internships can vary from extremely laid back to very rigid, so it’s important to ask about the company’s culture before starting. Technology fields and media production companies are well known for having a very relaxed dress code and casual wear is the norm in the office. Last summer, I interned at a technology startup company that had no set dress code and my supervisors would often wear very relaxed clothing. While the company’s culture was very laid back, I still dressed professionally to show that I was taking the internship seriously. A great blazer can make you seem like an experienced professional, even if you are still a novice intern. 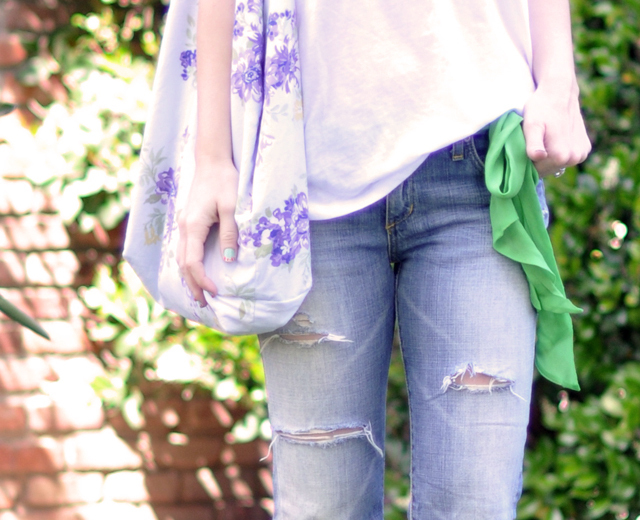 It can take a simple top and jeans and transform them into to a business casual outfit. You don’t have to stick to basic black either. A blazer with a pop of color can make for a chic and fun look. Personally, I know wearing a blazer almost instantly makes me feel more confident and that’s definitely a feeling you want to have on your first few days as an intern. In the summer weather, cropped dress pants are one of the best ways to stay cool and professional. Unlike shorts, crops are professional but less bulky and quite frankly less sweaty than full length pants. Today, almost all internships will require you to bring your own laptop. 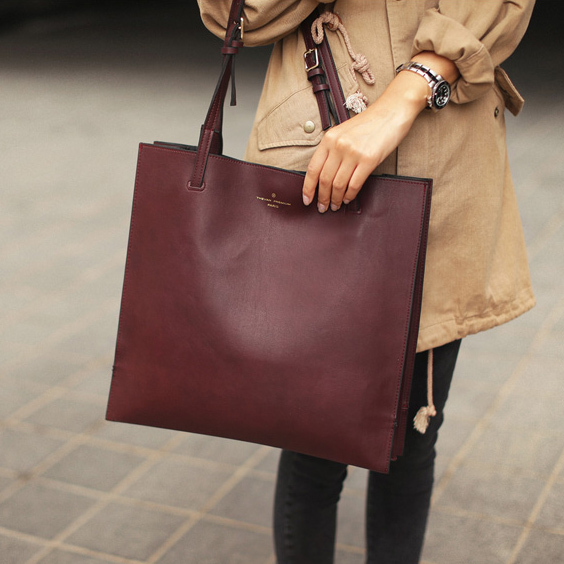 At school most students tote around their laptop in a backpack, but for an internship consider upgrading to an inexpensive laptop bag. This is a piece or accessory that makes you feel great when you are wearing it. It’s your secret weapon because it’s an instant confidence boost, which is needed when starting out in an unfamiliar environment. For me, it’s “Blackberry Sorbet” lip stain that always does the trick. Just like there are some pieces to incorporate into your internship outfit rotation, there are also some you want to save for campus life. 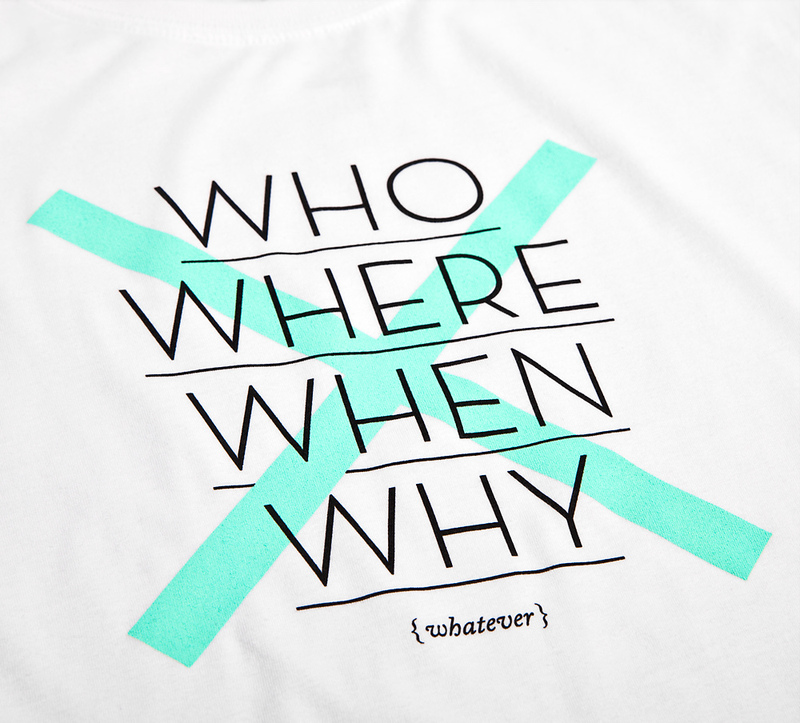 In most companies, graphic tees are too casual for the work culture, and even in those with a very casual work culture, they can still come across as juvenile. Already being at the bottom of the food chain in the company and probably the youngest person in the office, a graphic tee is just going to make you seem even younger. Plus, you want your boss to remember you for your hard work not for the funny saying on your graphic t-shirt. Jeans are perfectly acceptable at companies with a casual or business casual dress code, but they should be hole free. Torn jeans just aren’t appropriate and can potentially send the message to your supervisors that you do not care. This is especially true if you are commuting into a major city or simply doing a lot of errands on your internship. 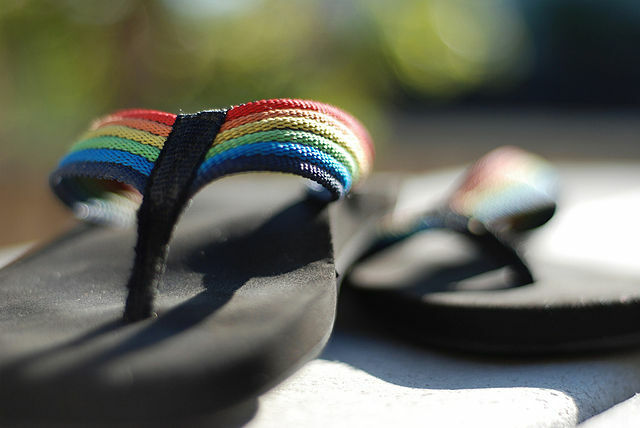 Last summer, I was leaving my internship, which was located in downtown Boston, when my flip-flop broke. Rather than taking the Orange Line with one shoe, I walked from the financial district to Faneuil Hall to replace my busted flip-flop. Even though summer can be brutally hot, from then on, I opted for more sturdy and sensible footwear. Ultimately, as long you maintain a neat and professional appearance don’t be afraid to be a little creative and show your personality with your clothes. Gentrification is not a new fad, in fact it has been ongoing for decades. Sometimes it takes a more lighthearted form like when my mother complains that a Chipotle has replaced an old record store in Harvard Square or when multiple organic juice bars begin popping up in Chinatown. However, beyond its novelty, it has had much larger ramifications on the Boston community. Gentrification is the process of rebuilding deteriorated and poor neighborhoods, causing an influx of affluent residents, while displacing poorer residents. Last semester, I had the opportunity with my documentary production class to work with Brookview House to create a documentary for their website. Brookview House is a women’s shelter in Dorchester that helps families who have experienced homelessness by providing them temporary housing and working with the mothers to find them permanent housing in Boston. While Brookview House provides an amazing service to the community, they are only able to help a small portion of the homeless population in Boston, which continues to grow each year. In fact, as of 2014, Boston has had the fourth largest population of homeless families. Yet, housing prices still continue to skyrocket. Growing up not too far outside of Boston, Dorchester was a place I had actually been to a handful of times, as well as, a place I had heard a lot about. Unfortunately, due to biased news coverage and not so sage advice from parents–who lived in Boston during a different era–my perceptions of Boston’s largest neighborhood were less than flattering. However, after my first shoot in Dorchester, it was apparent that my preconceived notions were inaccurate. First, the sense of community that I observed was a unlike any other I have experienced during my time in Boston. There was a clear sense of connection between the residents and to the neighborhood itself. This can be best illustrated through the number of small businesses and murals I discovered throughout my time there. Additionally, there was a clear sense of equal give and take, with people putting as much effort into their neighborhood as they were taking from it. To me, this seemed like a clear contrast to the rest of Boston. My second and maybe most unexpected observation was the gentrification that was starting to creep slowly into a very proud and cherished community. Ubering back to campus, there was a jarring divide between Dorchester and the South End. One block over from low income housing with children playing outside was an organic coffee shop and a “yuppie”-filled sidewalk. It was an interesting juxtaposition to see the South End in its final stages of gentrification whereas Dorchester, on the other hand, is just beginning to feel its effects. If you asked me which block had a stronger sense of community or even just seemed happier, I would say Dorchester. On the last day of our shoot at Brookview House, I asked our contact person there about the new, large and expensive-looking housing development that was being built less than a block away from Brookview House. She just sort of looked at me and sighed. Finally she said that it’s been happening for a while now and that housing developments like that one have been slowly creeping into Dorchester during the past few years. While Brookview House is established and not in danger of being driven out of Dorchester, it seems that the influx of these housing developments could eventually displace many people in the community and make Brookview House’s job a lot harder. As a college student myself, I’m the first to acknowledge that we are one of the biggest contributing factors to driving up rent prices and causing gentrification. As ephemeral residents of Boston, it’s essential to remember how our presence impacts the community. Students create a greater demand for housing in all of Boston. And typically, a college student is able to afford a higher rent price than a single Mom or a lower working class family. Students only have have themselves to support on their paycheck, while a single Mom has to support herself, as well as her kids on top of rent. With students finding apartments beyond the traditional college neighborhoods, such as Allston and Jamaica Plains, they are putting additional pressure on the Boston housing market. By moving into areas such as Dorchester and Southie, they are taking away the already limited affordable housing there while also driving the prices higher. According to Harvard University for Public Health, the average price of a two-bedroom apartment in the Boston-Cambridge metro area is $1,454, which is a price too high for lower middle class families and single moms to afford. This was a common narrative told by the residents of Brookview House, as Boston has become too expensive for many long time residents to continue to afford a place to live. The number one source of the increased cost of rent in traditionally less affluent areas such as Dorchester: gentrification. Gentrification is simply taking away a community’s essence, spirit or nuances that make them unique and replacing them with the pre-packed Starbucks and Walmart charm that has already affected many communities around the United States. It forces people out of their communities, while simultaneously increasing commerce and lowering crime. To learn more about how you can donate or volunteer at Brookview House, please visit their website. Brookview House is an organization that helps homeless mothers and their children find permanent housing, steady work and overcoming the trauma of being homeless. They provide a variety of services for the mothers and have a wonderful youth program. Emerson students are always involved in many film productions throughout the semester, and honestly most of us are a little tired of seeing the crew calls and Kickstarter campaigns all over our Facebook newsfeeds. However, there is one upcoming production, which you should definitely keep on your radar. Pill is a feminist black comedy about women’s reproductive rights and the lack of affordable birth control. The film is written and created by Delilah Kaufman and directed by Hannah Carpenter. Other key crew members include Kristiana Gomez, the film’s producer, and Amy Smith, the Director of Photography. The story centers around a woman in college who’s boyfriend refuses to buy condoms. Then, through a series of events, she ends up stealing birth control, because she can’t afford it. Ultimately, she ends up abusing the birth control because of the lack sexual health education. Beyond being about reproductive rights, the movie also touches upon themes of setting personal boundaries in relationships and life in general. If you are passionate about feminism and enjoy dark humor, Pill is one Emerson film that will be worth checking out. The creators of the project were largely inspired by personal experience when it comes to finding affordable birth control. Since birth control affordability is a very problematic issue for a lot of college age women, the film is very relatable. Writer and creative producer, Delilah Kaufman, set out to create a body horror film for class, but the project evolved into a black comedy. She knew from the start that she wanted to have a ending that would be visually shocking to both male and female audiences and the film starts and ends with two very graphic but potent scenes. Often Emerson films end up being very male centric in both characters and crew. Just look at 34th EVVYs’ nominations for film production, you’ll see the majority of the nominees are men. However, Pill decided to take a different approach when finding a crew for their film. Kristina Gomez, the producer, says that when they held crew calls they gave preference to women who were interested in participating in the project. However, they ended up hiring men to be a part of the crew, but made sure they only hired men who shared the feminist mindset of the film. In addition to a feminist and hard working crew, the cast was also essential to bringing this project to life. Maggie Canaan brings to life the struggles of obtaining birth control as a typical college student as the lead female character, June. “She’s basically every girl, someone everyone can relate to,” says Hannah Carpenter, the director of the film. While the male character may be a stereotypical “slacker misogynist,” the actor who plays him, Jimmy Fahey, says he felt a duty to be a part of this feminist film as a white privileged man. Feminist themes are prevalent throughout the film and drives home an important and relevant message about the lack of affordable birth control. Pill is shooting the next two weekends in April and then it will be in the post production phase. Once the film is completed, the filmmakers plan on submitting it to as many festivals as possible. Remember to support Emerson female filmmakers by keeping a look out for Pill on the film festival circuit and keep a lookout for their upcoming Facebook page for updates. Spring is finally here and with the tepid weather and snowless streets comes spring cleaning. Most college students can attest to the fact that dorms can become very unclean very fast. In suites where students are responsible for cleaning their own bathroom and common areas, a strong cleaning routine is essential. Living in a dorm for the past two years I have picked up a few cleaning hacks that help keep my suite in order. For me, it’s key that my cleaning routine is simple, quick and inexpensive. Now that you know what supplies you need, let’s get to the hacks! Just mix a teaspoon of liquid soap, a bit of antibacterial oils (hand sanitizer also works) and baking soda into a paste. Then use it to wipe away the grim. I always try to clean my shower either weekly or bi-weekly in order to any avoid nasty build-up. Your laptop keyboard is probably one the dirtiest surfaces in your dorm room so it’s important to take the time to keep it clean. By using rubbing alcohol and a cotton swab, you can clean the germs and dust from in between the keys. Condensed air is also useful for getting rid of dust in the smallest of cracks. And if you don’t have either of those on hand, pencil erasers can come in handy for getting the dirt off of keyboards, as well. 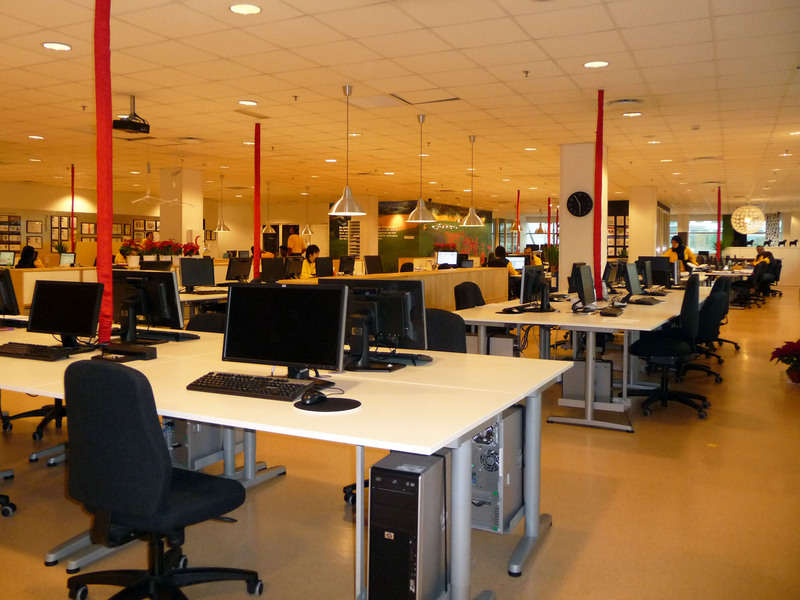 Even dirtier than your personal computer are public computers so make sure when using your school’s computer labs to use hand sanitizer before and after. The microwave is one of the dreaded areas to clean in my suite, mainly because it gets very dirty. To get rid of microwave build up in only a couple of minutes, simply fill a cup with water and add a couple of lemon slices. (You can easily find these in a college dining hall for free.) Then, heat the water until it boils and let the steam soak into the microwave for around one minute. Now the grim can easily be wiped away with a sponge or a disinfectant wipe. We have all been there, drinking coffee early in the morning or late at night on-the-go or even in bed. Unfortunately, coffee on-the-go or in bed can lead to spillage, and after dealing with the pain of spilling hot liquid on yourself, you’re going to have a stain to deal with. The best way to get coffee out of clothes is to pre-treat it with baking soda before throwing the item in the wash. For pillows and couch cushions that you can’t throw in the wash, let baking soda soak on the stain for a few hours before wiping it off with a paper towel. Now that you have some easy cleaning remedies for your dorms, you will probably want to include your roommates in your cleaning routine. Remember when living with roommates that it’s important to share the cleaning costs and duties so it doesn’t fall upon one person. If sharing the cost of cleaning supplies becomes a sensitive issue, you can set-up a communal jar where everyone can put their change or a couple of dollars each week and the funds raised can contribute towards the communal suite supplies. While a lot of roommates decide to create chore charts in order to share the responsibility, I have found they end up being more passive aggressive than productive. Instead, everyone should simply make a conscious effort to maintain a clean living environment and by incorporating these cleaning hacks into your routine, you will be able to achieve just that. As a result, it should also help you and your roommates feel more relaxed and refreshed for the spring season. On Tuesday March 17th, CW aired a show that is the answer to the prayers of Veronica Mars fans everywhere. iZombie Rob Thomas’s latest TV project, which he is the creator and is an executive producer of, stars Rose McIver. The show centers around Liv, a former over-achieving aspiring surgeon, who wakes up a zombie after a zombie outbreak happens at a party she is at. Now, Liv finds herself working as an undead mortician, where she learns she absorbs the personality traits and memories of the people whose brains she eats. iZombie is far from the typical zombie shows that have been trending the past few years. Combining the format of a crime procedural with elements of the supernatural, a snarky female lead and clever dialogue, Rob Thomas has created an entertaining new show that is a strong follow-up to his previous TV creation, Veronica Mars. The pilot episode does a great job of establishing the characters, and setting up the universe or realm of the show without going too in depth into the zombie origin story. The show briefly goes into the backstory on the zombie outbreak, which is caused by a new designer drug being used at raves. Even with the supernatural elements to this show, it is more character-driven than end of the world, apocalypse-centered. Each episode of iZombie, Liv uses her new-found Zombie powers to try to solve a crime, as she continues to unravel and rediscover her identity through eating brains from the morgue. In the second episode, the show introduces a new character and potential villain in the series Blaine, who unlike Liv seems to be embracing his Zombie side, and is set on expanding the zombie population. Unlike largely popular zombie shows such as the Walking Dead, a refreshing twist on the zombie sub-genre, because iZombie is about reinventing yourself after death, not a world-wide apocalypse. iZombie has some classic Rob Thomas flare that will feel familiar to Veronica Mars fans, both aesthetically and thematically. The elements of voiceover to experience the character’s inner thoughts, immediately made me recognize that this show was created from the same brain as Veronica Mars. Also, the use of flashbacks and the color color palette of the show are both Rob Thomas signatures from Veronica Mars. The main character in iZombie, Liv, has some similarities to CW’s favorite heroine, Veronica Mars. Like Veronica, Liv’s story begins with a traumatic event at a party, which alters her personality. Both become withdrawn from their families, friends and end their romantic relationships. They find solace in becoming unlikely heros in solving crime. While Rob Thomas is definitely drawing on some archs and themes he has used in the past, iZombie has a more lighthearted and whimsical tone, than the edge and modern noir feel of Veronica Mars. The CW network has been improving their quality programming during the past few years to have appeal beyond the tween and teen audiences. I think iZombie is the next great addition to their improved programming repertoire, because it is less teen-centric than most CW shows and will appeal to both a youth and adult audience. In the fall, they introduced the Emmy award winning Jane the Virgin and The 100, which has an emerging cult following; both these shows were critically well received and instant hits with viewers. While it’s still a little early to tell, iZombie has been getting a lot of positive buzz and overall, I think it is a promising new show. Veronica Mars fan or not, tune into the CW Tuesdays at 9 p.m. to catch the new episodes!